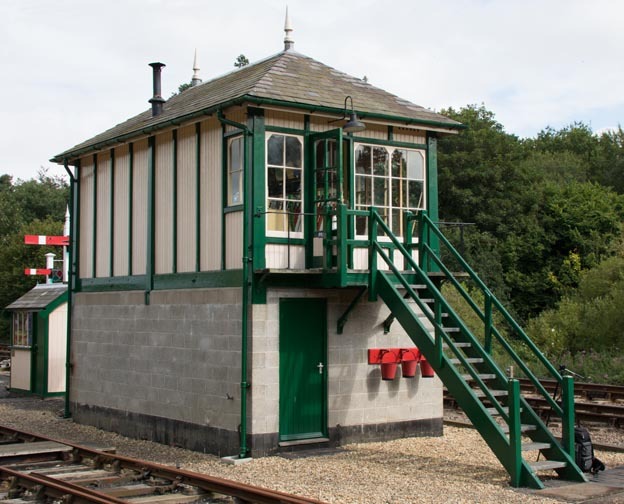 This Midland signal box is a Type 3 and came from the Midland Centre at Butterley near Derby. There was only a top so the base is new. The lever frame came from Steeton Station signal box on the Leeds to Settle line. The box was at Upper Portland sidings between Pinxton and Kirkby-in-Ashfield between Pye Bridge and Worksop. 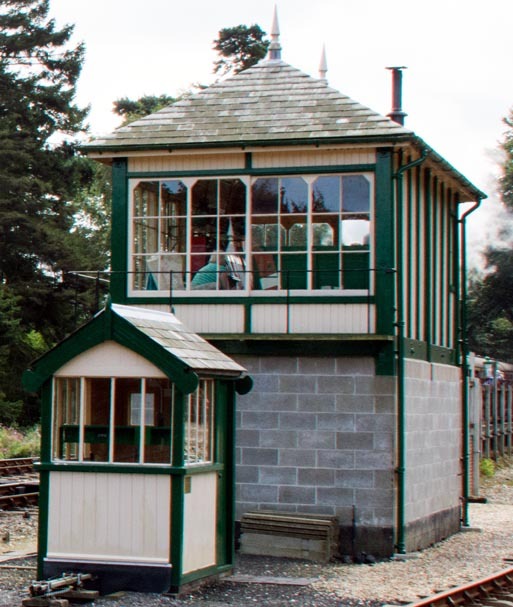 The box is now working all the signals and points at Holt. Holt signal box in 2014 from the end. The the small Midland and Great Northern Joint Railway Hut was from Hellesdon which was just outside of the closed Norwich City station. This came out of some ones garden who had saved it. This box has a ground frame in it.The small box is used when the main box is not in use, just to run round a train using the token. Holt station is not now were the old station was, as when this part of line closed a road was built on part the old railway bed. Some of the site were the old station was, has been built on. 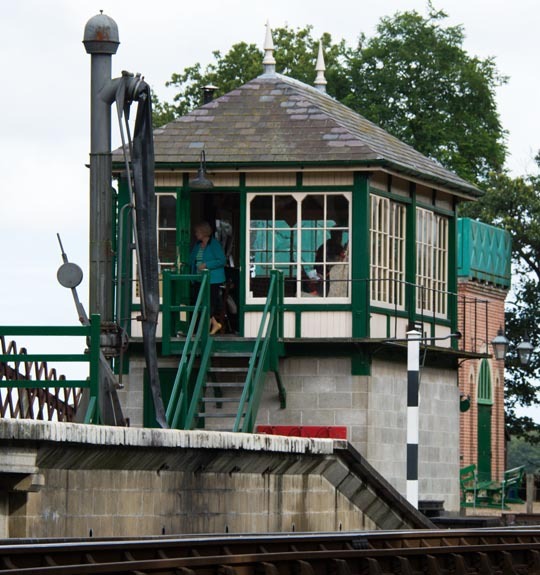 The new NNR station at Holt has all new platforms but the signal box and the station buildings and other parts, have been saved from other stations. Today Greater Anglia VirginEast Coast and East Midland Trains is whos train it is these days. These names keep changing, but that means I have to keep taking photos. I also take photos of preserved railways with steam diesel and electric trains.There is lots more to add and I keep taking More!